class="post-template-default single single-post postid-356655 single-format-standard group-blog masthead-fixed full-width singular wpb-js-composer js-comp-ver-5.7 vc_responsive"
Note: The Rural Radio Network has partnered with the Engler Agribusiness Entrepreneurship Program to share stories of trials and tribulations as part of being an entrepreneur. The Engler Entrepreneurship Journey: Celebrating Success, Embracing Failure, and Inspiring the entrepreneur inside of you. The first episode of the Engler Entrepreneurship Journey is an introduction to this program. 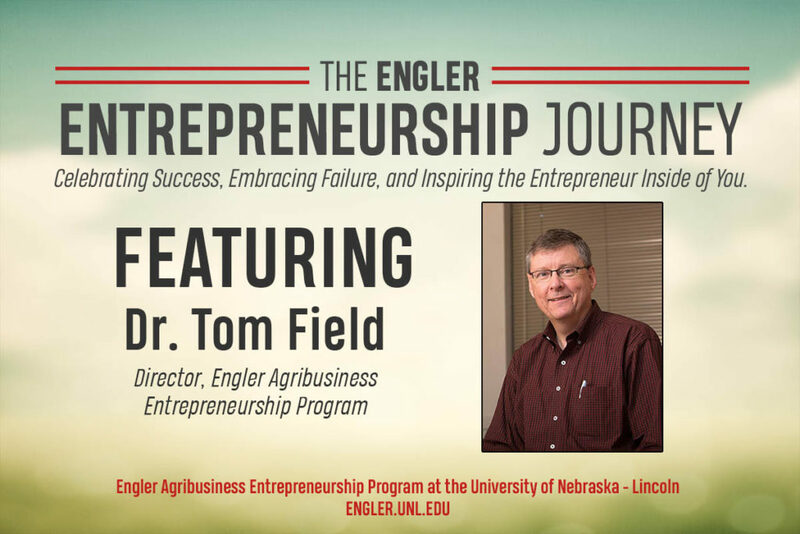 We hear comments from Dr. Tom Field, Director of the Engler Agribusiness Entrepreneurship Program and holder of the Engler Chair in Entrepreneurship at the University of Nebraska-Lincoln. Dr. Field shares information on this unique program that pushes students to transform ideas into enterprises. Field also describes the namesake of the program, Paul Engler.